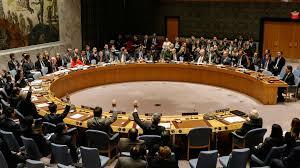 The Archbishop of Canterbury has promised the United Nations Security Council that the Church of England will do all it can to provide mediation and peaceful resolution of conflict in war-torn countries. 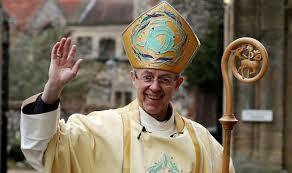 Most Rev Justin Welby addressed the UN Security Council in New York on Wednesday. He told the council that the Church is embedded in communities where conflict and violence is rampant and said that the Church “cannot and will not walk away” from those who are suffering. “Let me pledge my support to you, Mr Secretary-General, in this work,” Archbishop Justin said. “I have the privilege of having assembled a team in my office that is already learning from past experiences. Many of them worked with the UN. Together we can reach out to counterparts from other faiths to encourage their involvement and support, as they are already doing. The Church has already begun mediation efforts in South Sudan, however Archbishop Justin admitted that it’s not enough. He said: “Mediation by itself, however skilled, is like using a garden hose to put out a forest fire, when what you need is rain over the whole area to let new life grow and sustain itself. Archbishop Justin urged the UN Security Council to “invest in reconciliation and learn how to support transformation in human relationships better”.